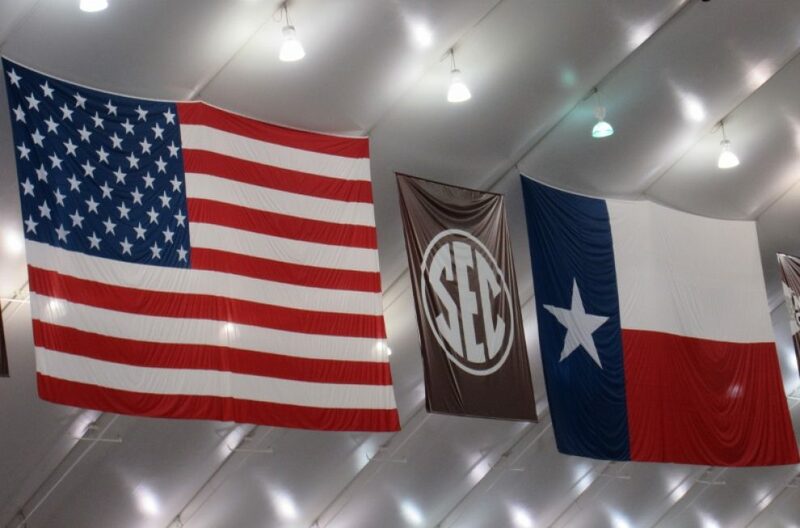 It is billed as the Smithsonian of Texas. I agree. 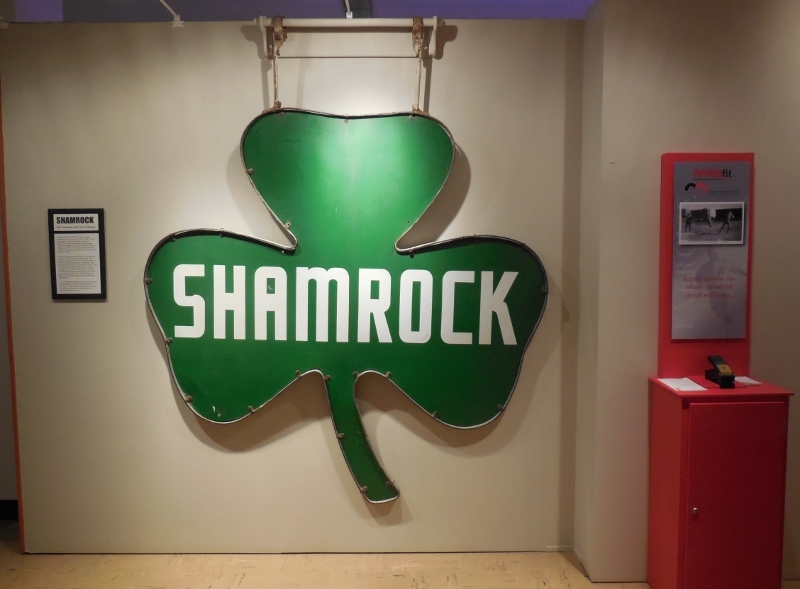 Here is a very short walk among a few of the countless exhibits. First there was the land and the ancients that lived there millions of years ago. But there were people who lived there first. Tale a close look at this beautiful sculpture. You can see my reflection taking the photo graph creating a sort of mask. I think it is nice that I am reflected in this Native American artwork. 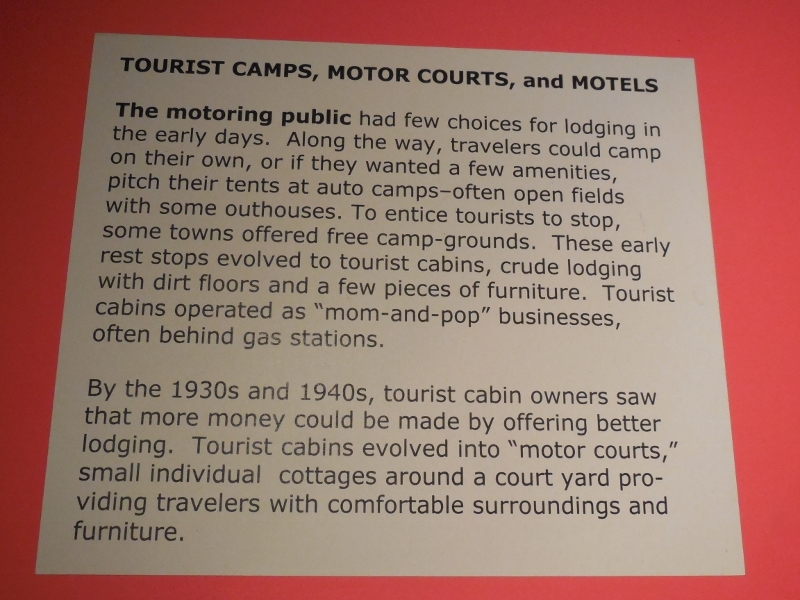 But then other people wanted the land and they came to settle driving off the other people who were there first. We all know this sad story. 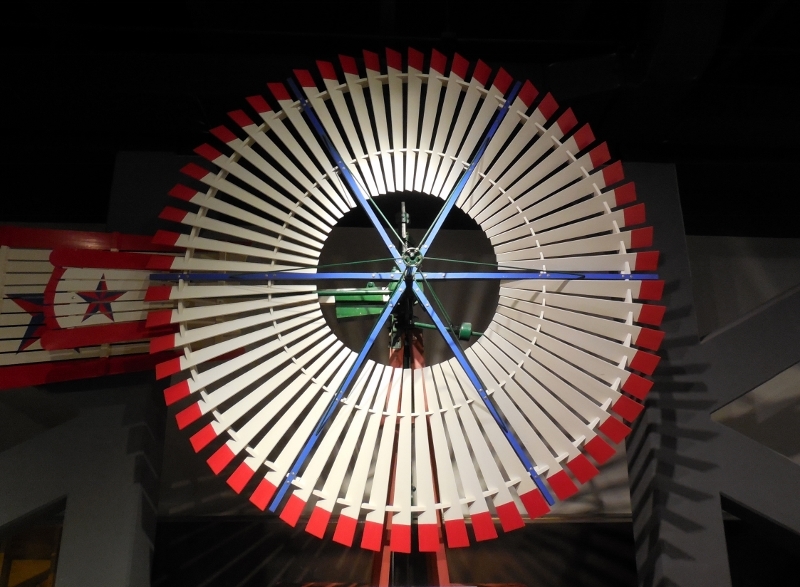 But they harnessed the wind to make the area livable. Change livable to habitable. I do not think I want to live there. And then people more came. 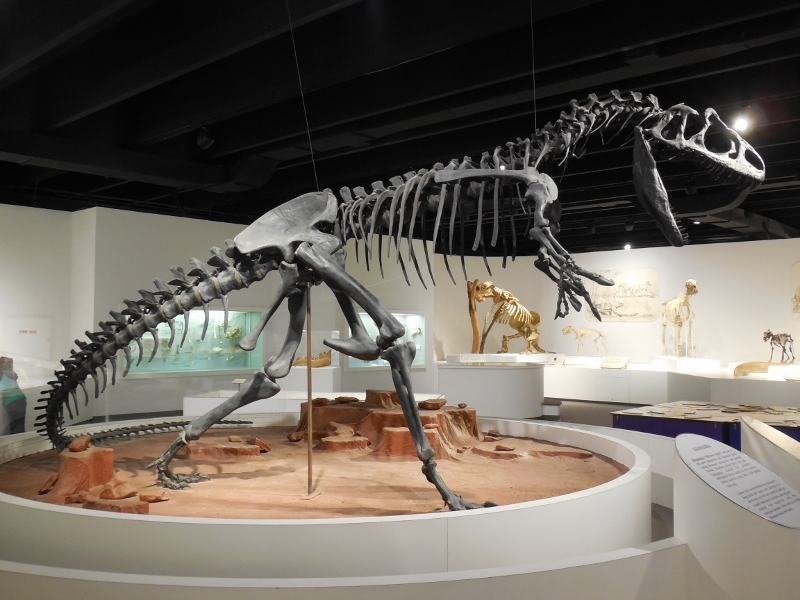 Because those dinosaur relatives in the dinosaur exhibit left fossil fuels – OIL, that is. Black gold. Texas tea. 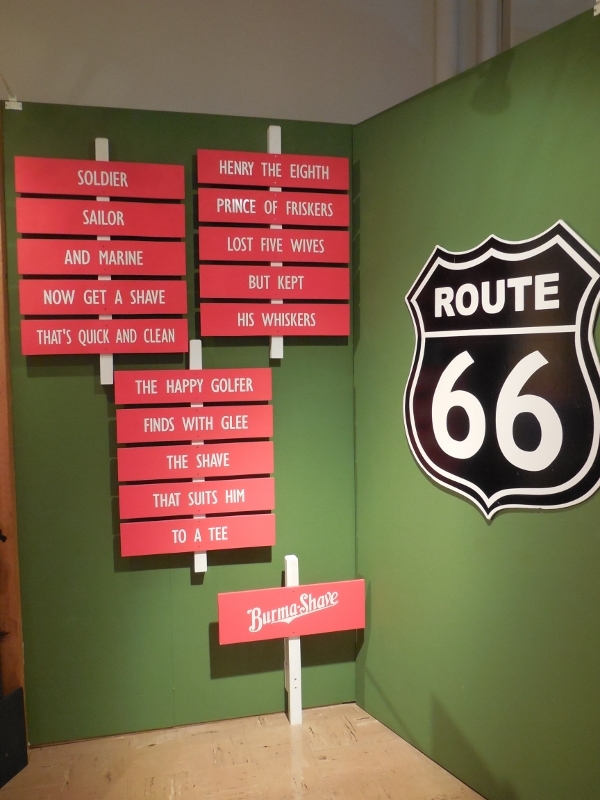 Some stayed on their way to California and others moved on down Route 66. Who remembers Burma Shave signs? 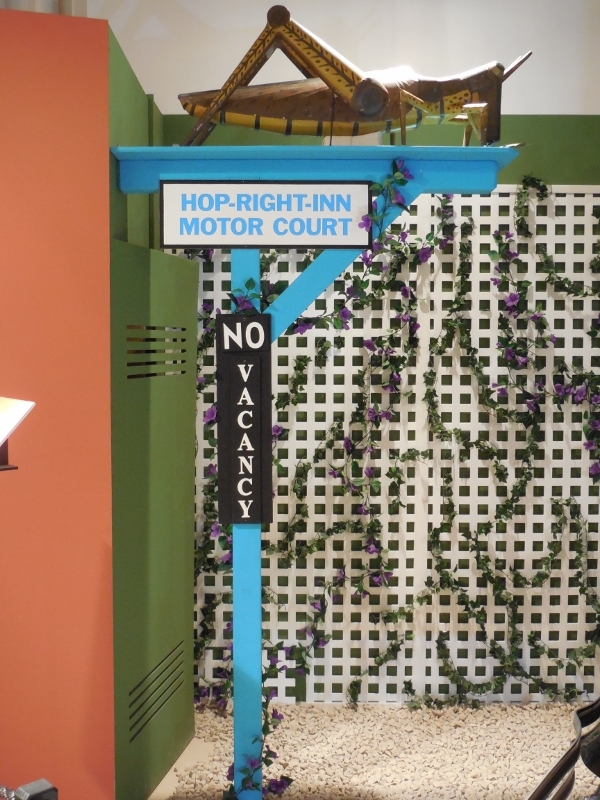 My mother referred to places to stay along the road as tourist courts. I doubt she would have stayed in one with a grasshopper as the symbol. 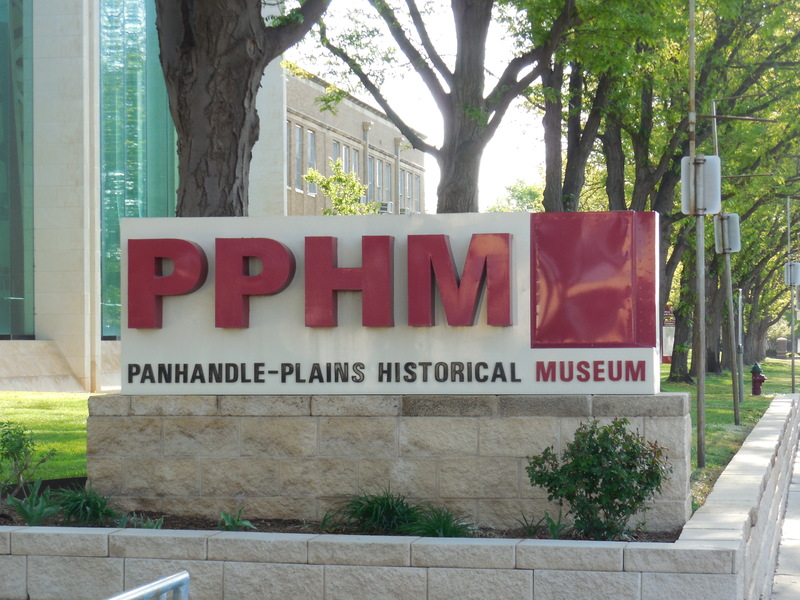 The Panhandle-Plains Museum is dedicated to The Pioneers – extraordinary brave people who took risks to live their dreams. 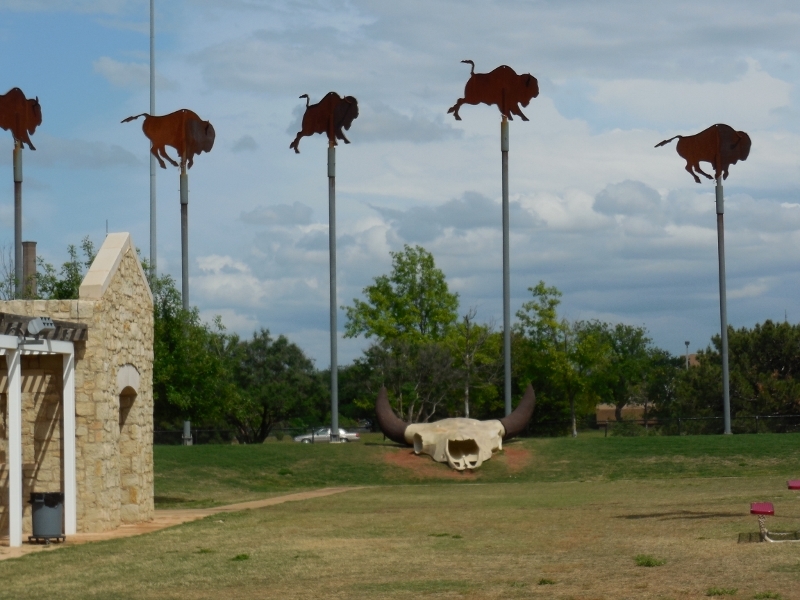 Two of three top ten tourist sites in Texas are in Canyon. 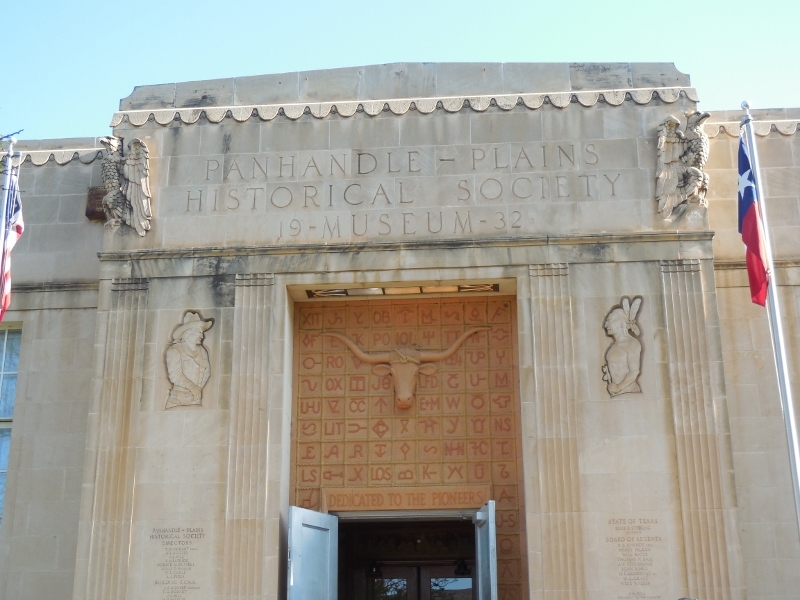 I hiked the Palo Duro Canyon walking where ancient creatures, civilizations and cultures walked And I visited The Panhandle-Plains Museum that tells their story. 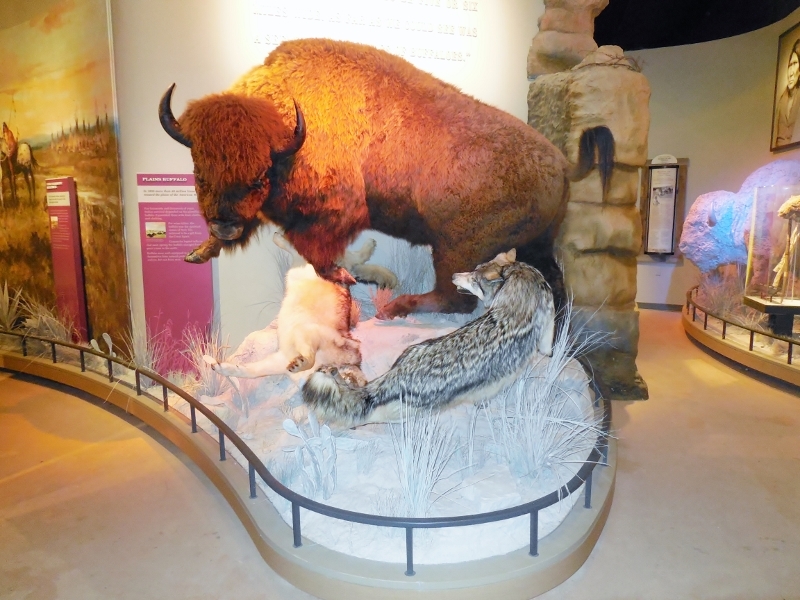 This is small, but dynamic, very interactive museum and should be on a Texan’s bucket list. 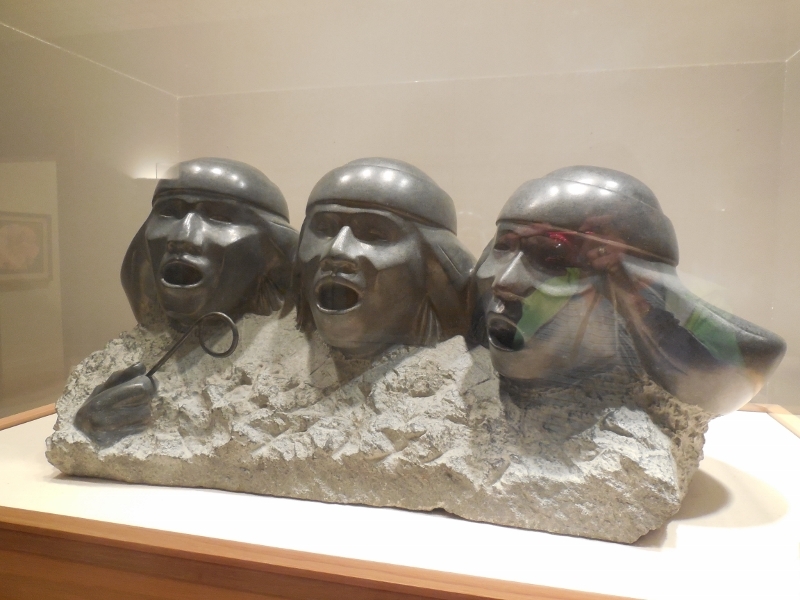 I did not take many photographs at this museum. It tells a more detailed, intense story of how the how the people came and lived and died. The holograms telling the story are so life-like you want to reach out and touch them. 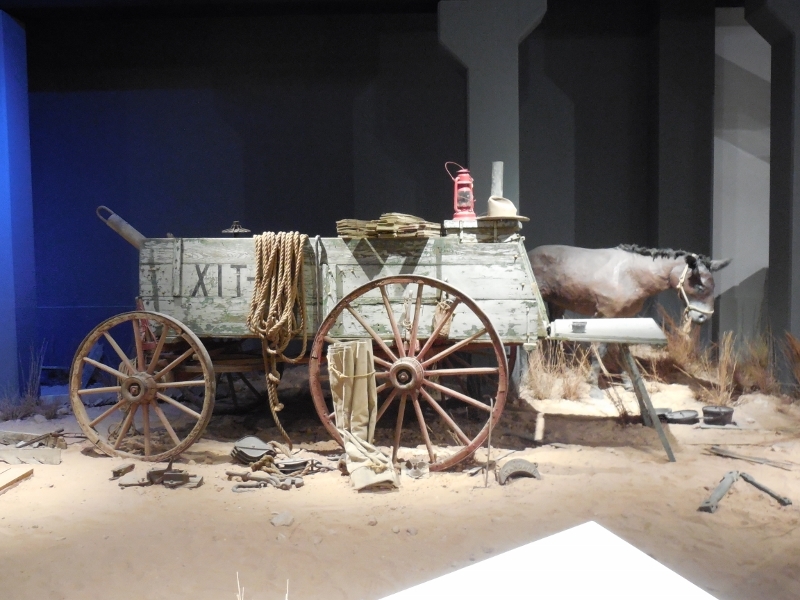 The story is told from all who settled, were settled and then resettled again in the country known as the plains of Texas. 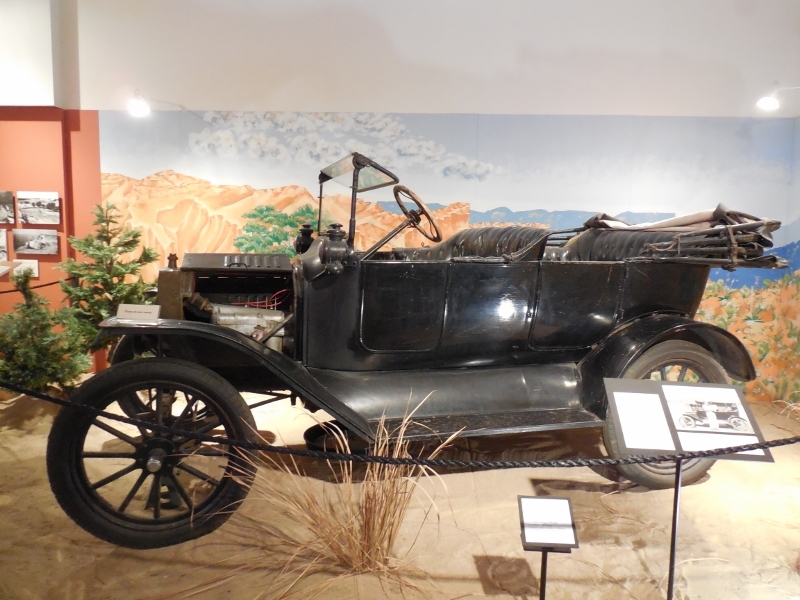 There were Native Americans, cowboys, settlers, pioneers, ranchers, business people and all kinds of people. There were men and women of all different colors and genders. 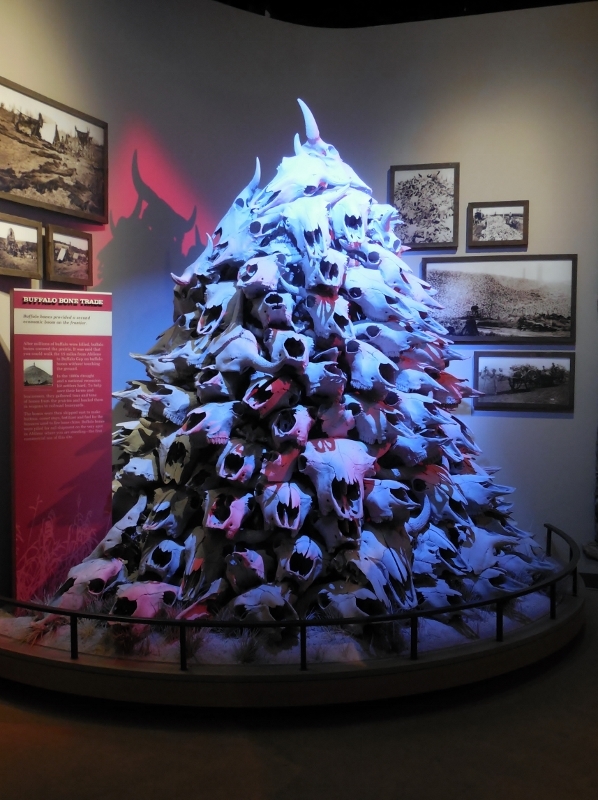 The story of the destruction and progress of cultures is not pretty, but it marks a point in history and tells all of us who are native Texas who we are and makes of us both proud and ashamed of our country. OK – it is a state, but it is a state of mind and the state is mine. 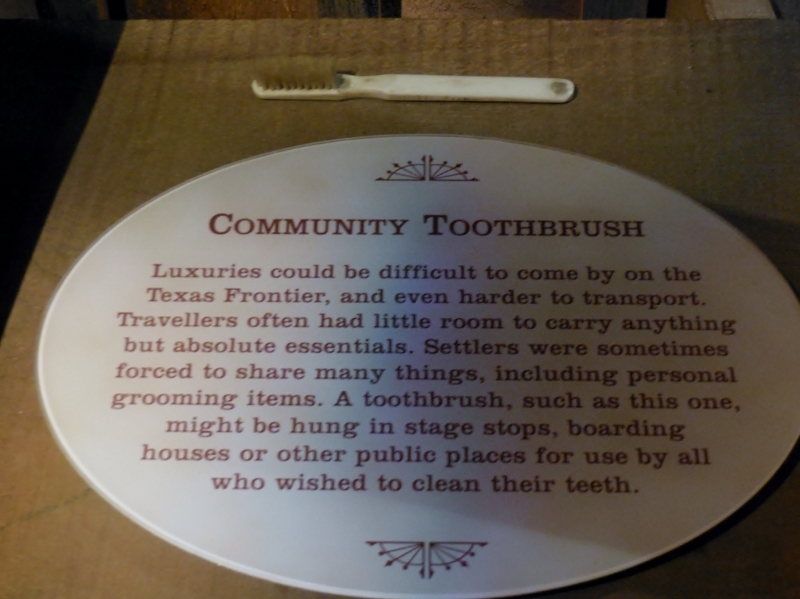 Seems as though a tooth brush salesman would have made a fortune in the frontier. 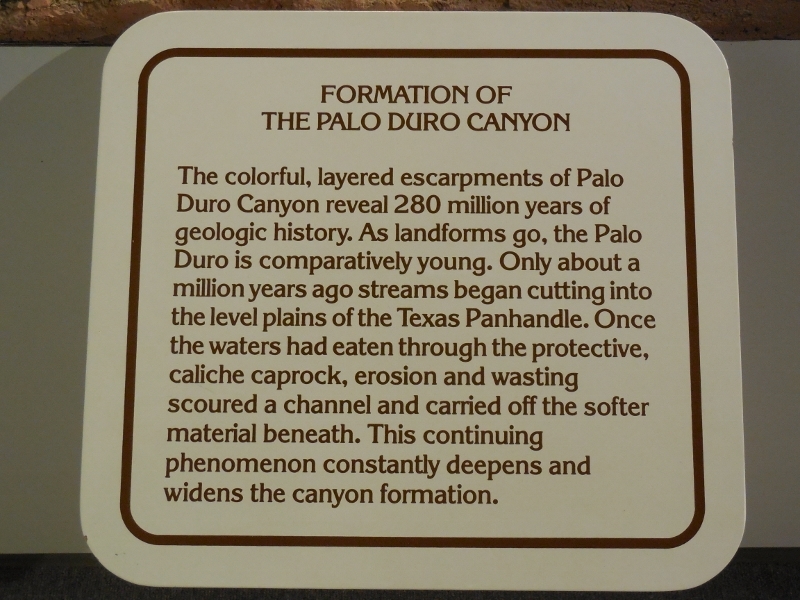 This entry was posted in Uncategorized and tagged Canyon, Native Americans, Palo Duro Canyon, Panhandle Pains Museum, Route 66, Texas. Bookmark the permalink.